Aircycle is the only product I have found that provides facilities managers with an easy and reliable method to recycle. Full box rattle's, will they break on return? Thank you for the way you handle the process of recycling the lamps. The return addressed box is perfect! Fill it an put it out for pickup! It can't be easier than that. Thank you for helping us save time at work and your label saves errors on returns. Customer liked: Easy to assemble, load, and ship. Customer disliked: Having to tape around the top and bottom. Very convenient way to dispose of lamps and comply with environment laws. Thank You for making the process so much easier. Before we used you for our Batteries and bulb recycling we had them sitting everywhere. In a very unorganized fashion. Now we don't have to worry about loose bulbs and batteries sitting around in odd boxes. I have used different recycling systems in the past and this is by far the most convenient easy to manage system I have come across. Air Cycle has made my job much easier. Customer liked: The whole way the package came together. I'm good and happy with it.. I will continue to use it. I love not having to mess with the plastic liner. It always seemed to get in the way of loading the bulbs. Customer liked: Very eady to fill without the bag. These bulb recycling boxes are the easiest ones I have used. I highly recommend them. The system works well. It is not inexpensive, but it takes care of regulatory and environmental concerns. Waiting for the Bulb Eater to be ok to use in CA. love the recycling container and that i can pack many bulbs into it. recycling light bulbs should be required by law. the only thing i would complain about is the thick cardboard is very hard to press open to be able to insert the bulbs. i had to use my full body weight and a wall! Overall it's better than the old style and I think we get more bulbs per box since we don't have to fight the plastic bag liner. Need to stick one side of top on so people don't set to side and forget to put on, but that is easy enough to do. Customer disliked: Getting the auto re-ship set up too some time. We live in an area where there is no place to properly (and easily) dispose of fluorescent tube lightbulbs. Our office had over 100 of these old outdated bulbs and I wanted to ensure they were disposed of properly... especially since they pose an environmental hazard. Aircycle provided an excellent solution for us!! Customer liked: Easier to pack and no bag. Customer liked: Ease of use, order, fill, return! 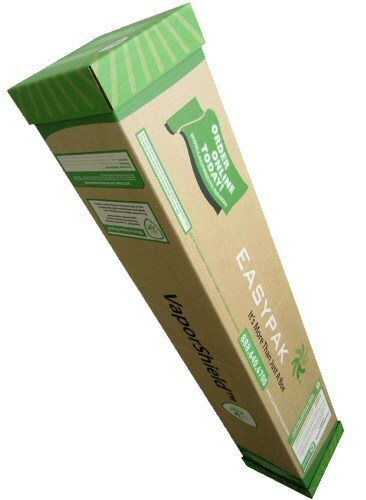 The EasyPak is a great way to contain, store, and recycle your florescent bulbs, doesn't get much easier than that! Boxes are great quality, easy to load, boxes have pre-printed labels.